So i have made a mistake. I gave away tower pieces recently and now have acquired the tower tiles from Decar - I didnt realise these were to be the new edition which i dont have. So I have bought the missing tiles from what Decar have given me and now would like to replace the tower blocks i gave away. Does anyone have some they are willing to part with - to sell or trade? Following the trend, I have got a load of stuff to clear out. 2 × score boards - FREE. Postage will be extra. 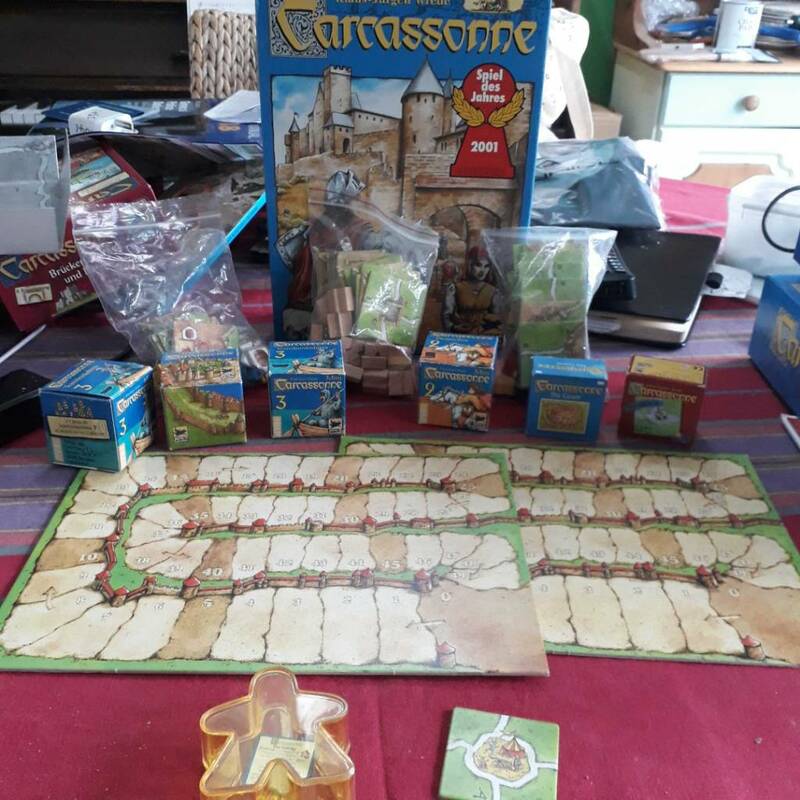 I will take swaps for Carcassonne 2 items or Flamme Rouge. Postage will be extra. I will take swaps for Carcassonne 2 items - or Flamme Rouge. I have decided to trade or sell some of my old style carc spares so that i can keep my complete collection of old style carc and build the new style carc as my holiday set! I am fairly sure this will have to end up being a ebay job to sell the old ones and then buy the new ones but i will try here first. I have some other bits and bobs i will chuck in with any trades as a thank you. Can someone assist me please. I have bought the star wars expansion from German eBay and they won't send it to the UK. Please could someone help me with an address to get it sent to? I have just discovered Flamme Rouge and I love it. It is a race track game where each player has 2 cyclists for which he draws cards to move the cyclist around the track. It is extremely well designed and great fun. Does anyone have Flamme Rouge to sell or any of the expansions to sell or give away? There was one expansion that came with the advent calendar. 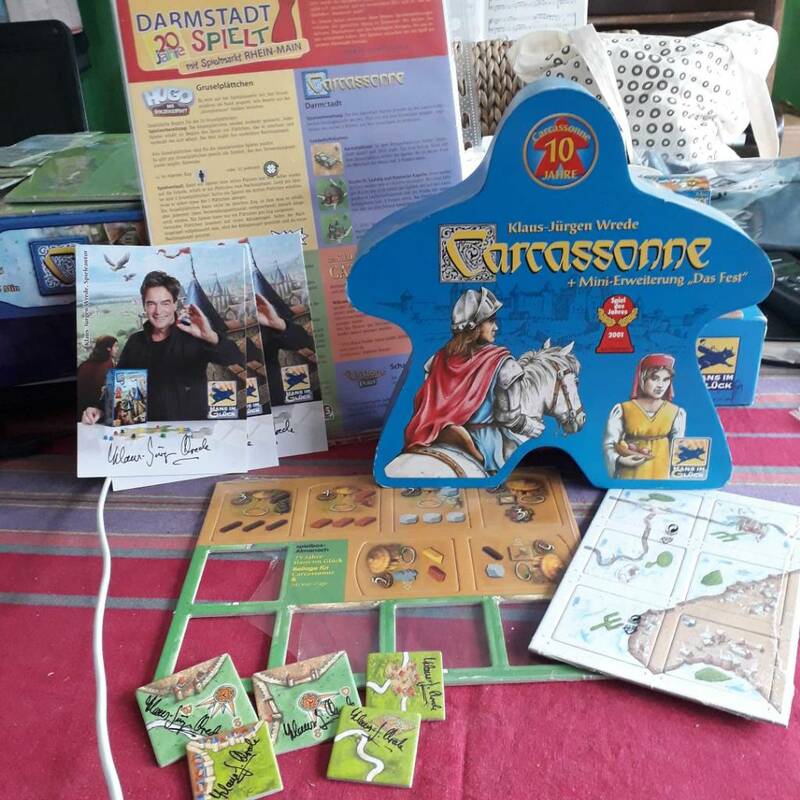 I have just come by a second copy of cathars. I don't need to keep hold so I am willing to sell it. If you are interested, make a closed offer by private message. I will let the winner know by Friday this week. I am not looking to make a fortune on this. 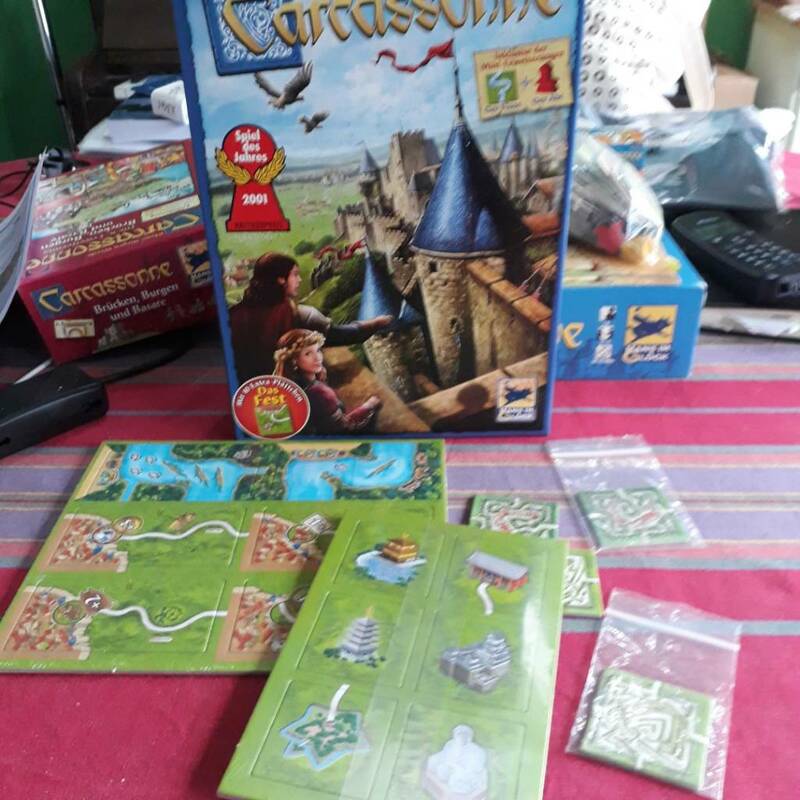 I have an unopened anniversary edition of Carcassonne with the needle shaped box and score board and the plastic meeples. I would like to sell it on if anyone is interested. I am sure this collectable item will get some interest. News and Events / [Not so] Exciting news! I have come across something interesting and not confirmed as genuine yet! i dont know if it is new art or old but take a look! Really struggling with this one! 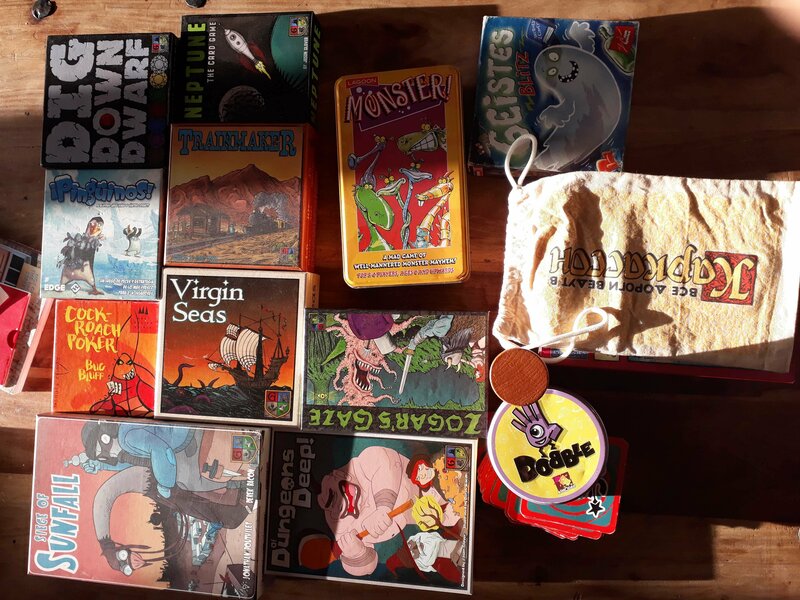 Other Games / What to take? We are about to leave on the train to London and I don't know what to take ! What do you think is the most desirable tile/expansion? Is anyone interested in buying some asterix books? I have loads but not sure where to sell. I have some hardback editions in french and lots of hardback and paperback in English. Does anyone have some empty expansion boxes they don't want? I would like, the tower, inns and cathedrals, traders and builders, hills and sheep, and I am sure there is another one I don't have but I can't remember right now. I had most of them but I think some have disappeared whilst moving house and since I now have a specific shelf for carcastuff I want to fill it!